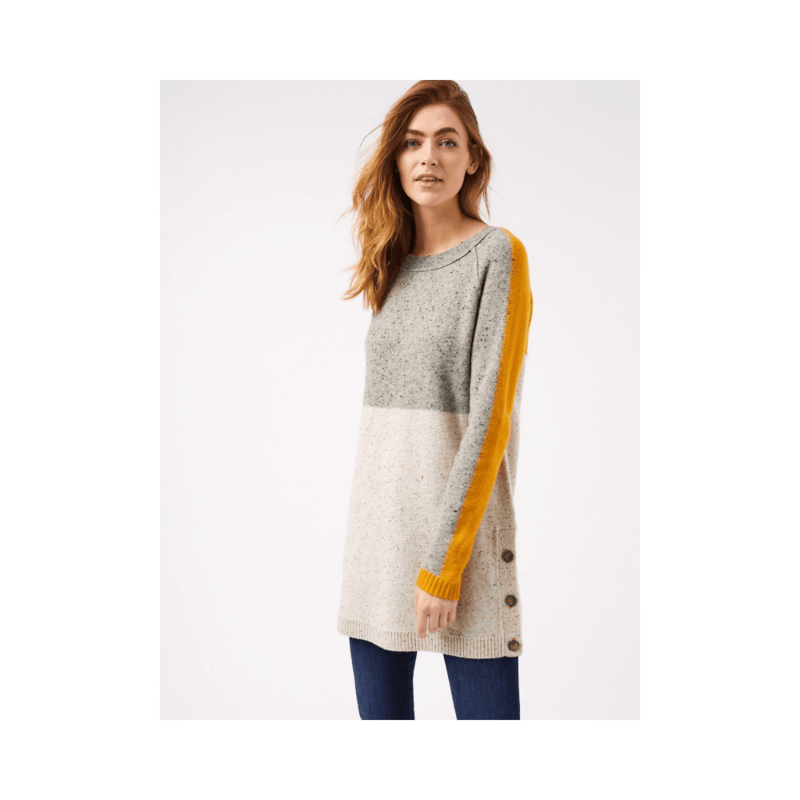 We love this stunning versatile knitted tunic, its perfect for work or weekend adventures, a great all-rounder. It has a stylish colour-block design, side buttons, and long sleeves. We think it looks amazing paired over jeans or jeggings for a casual but stylish look.